As long time readers know, I’m a Marriott fan, despite calling it the red-headed step child of the miles and points game. That post was more talking about the personal version of the Marriott Rewards Premier Card, but the fact remains that day to day spend is kind’ve weak. 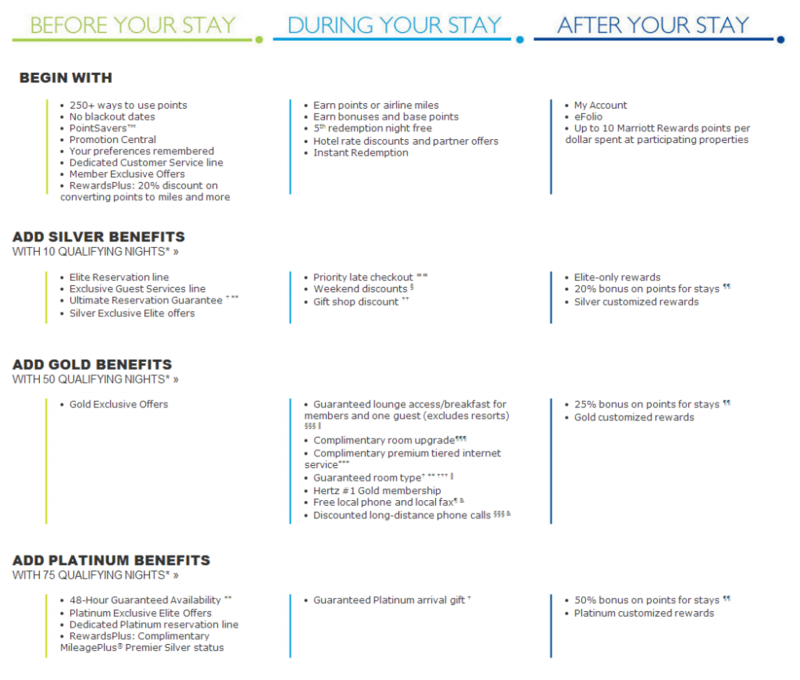 Marriott and Chase are doing something to enhance the return with the Marriott Rewards Premier Business Card, it doesn’t fix the poor redemption rate of Marriott’s award chart, but it helps. 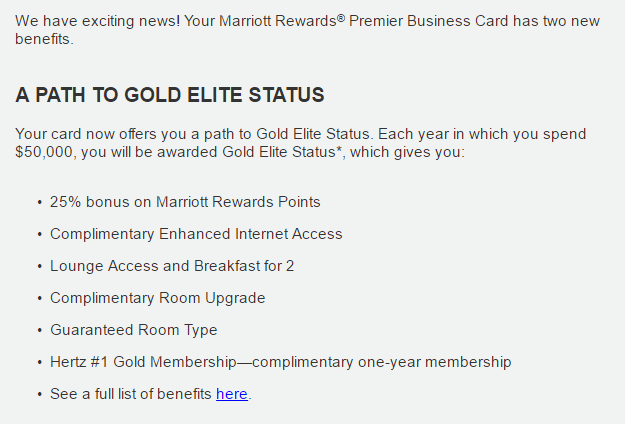 First off, before you get too excited, Marriott Rewards Gold Elite status is middle tier. You get most of the good stuff, but you’re not at the top of the pecking order (Platinum) so to speak (in fact, there’s a fourth less documented level higher than Platinum status). To get Gold status through stays, you would have to stay 50 nights. The personal card has a similar option, however you get 1 Elite Night per $3,000 spend, so you don’t have to go all or nothing – but you’d also have to spend 3x as much. 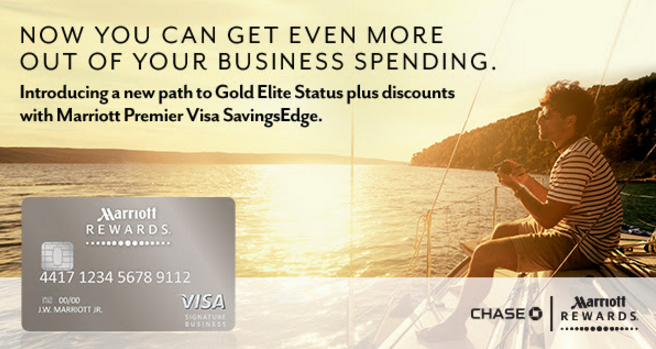 The other new benefit is that you can now save with Visa Savings Edge. It’s not terribly exciting, mostly 1-4% savings, but, every penny helps, right? Is this enhancement really amazing? Not really. But, for those folks with the Marriott Rewards Premier Business Card, that are putting heavy spend on it, it is a nice benefit. Is it worth moving spend from more lucrative cards, like the American Express Starwood Preferred Guest (SPG) business card? I doubt it. But, at least Chase and Marriott are trying to improve the attractiveness of the card. Really, the best way to make day to day spend on any Marriott card, is to either (1) revise the award chart or (2) enhance the amount earned per dollar spent. Wishful thinking. So if earnings rates for Marriott’s program are uncompetitively low and the redemption rate is high, why do you say in the first paragraph you’re a fan? What am I missing? @Mike – Great question! I’ve stayed at a lot of great Marriott’s, and this is one of those cases, where there’s a big of cognitive dissonance. The rewards program isn’t great, but the properties are generally more widely available and consistent, with some like the JW Hong Kong and Marriott Singapore as exceptional. I generally liken Marriott to Hilton, as Hyatt is to Starwood. Just for curiosities sake, one Gold benefit is Free Local Calls. Are you sh*ting me?! Are there really hotels that still charge for this. I would be absolutely livid if I paid for a room, made a local call, and then was charged for it. To the point of going out of my way to not stay at that hotel ever again, and seriously considering other brands in different locales. Sorry to rant. @Ben – you know, I never noticed that. I can’t remember the last time I made a phone call from a hotel room. Given most phones are VOIP now, I see no reason why they would charge. wow, that’s horrible. i can’t imagine spending $50k to get Gold. Hilton card gives you Diamond for $40k!